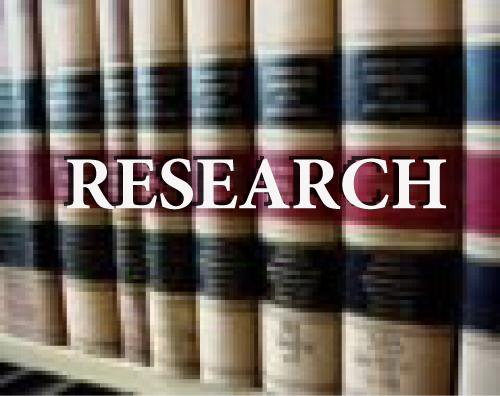 Use this page as a resource to start your research on the uses of, studied and reported health benefits of CBD. Nausea is having the feeling or urge to vomit. In some cases, nausea can be debilitating and lead to vomiting, which means to forcefully throw-up the contents of the stomach out through the mouth. While nausea is most commonly caused by viral gastroenteritis (“stomach flu”), it can develop for a wide variety of reasons, including, but not limited to, medications, chemotherapy, food poisoning, morning sickness, general anesthesia, motion sickness, migraines, Crohn’s disease and other irritable bowel syndromes, and liver or pancreatic cancer. Nausea and vomiting both play an important defensive role by rejecting the ingestion or digestion of potentially harmful substances. The sensitivity of the nausea and vomiting reflex, however, is very low and it can be easily activated, causing additional problems and impacting the quality of a patient’s life (Sharkey, Darmani & Parker, 2014). For example, nausea and vomiting can prevent the body from keeping down much-needed medications intended to treat serious conditions. For cancer patients, nausea can develop after chemotherapy or radiation treatment, but it’s not uncommon for them to also experience anticipatory nausea. If a patient has previously gotten sick numerous times following treatment, for example, the smells, sights and sounds of the treatment room can trigger nausea even before treatment has begun. Controlling nausea is important for allowing patients to continue their necessary medical treatment and to have a better quality of life. Not controlling nausea and vomiting can lead to chemical changes in the body, mental changes, loss of appetite, malnutrition, dehydration, a torn esophagus, broken bones and reopening of surgical wounds. In addition, nausea can cause longer hospital stays, difficulty handling everyday activities, lost work hours and depression. Cannabis has long been known to limit or prevent nausea and vomiting from a variety of causes (Sharkey, Darmani & Parker, 2014) (Parker, et al., 2015). The major cannabinoids within cannabis, tetrahydrocannabinol (THC) and cannabidiol (CBD) have both been shown effective at regulating nausea and vomiting because they activate cannabinoid receptor 1 (CB1) of the endocannabinoid system. Activating the CB1 receptor suppresses vomiting (Parker, et al., 2003). Studies have shown that CBD’s effectiveness at producing anti-nausea effects may also be in part of its indirect activation of the sommatodendritic 5-HT(1A) autoreceptors in the brain stem (Rock, et al., 2012). For patients suffering from nausea following cancer treatments, cannabis has shown it can provide relief. Studies have found that cannabinoids, including CBD contained in cannabis, are effective at treating the more difficult to control symptoms of nausea, as well as preventing anticipatory nausea in chemotherapy patients (Parker, Rock & Limbeer, 2011). Another study found that THC was also effective at reducing conditioned rejection and chemotherapy-induced nausea (Limebeer & Parker, 1999). Cannabidiol (CBD) was shown to reduce vomiting and nausea-like behavior via a complex chemical mechanism that indirectly counteracts a certain group of autoreceptors in the human brain. The exact mechanisms with which Cannabidiol affects many ailments is not yet fully understood. Scientists have a fairly clear picture about how Cannabidiol reduces nausea and motion sickness, thanks to a large number of clinical and pre-clinical trials. The initial studies of CBD’s effects on nausea were conducted on animals (mainly rats and shrews), they found that CBD seemed to suppress nausea and vomiting in those animals. Recent clinical studies conducted on human patients seemed to confirm the above findings. CBD has been shown to regulate vomiting and reduce nausea-like symptoms in a wide range of illnesses. When it comes to Cancer patients, CBD has been shown to help alleviate chemotherapy-induced nausea and vomiting with surprising efficiency. Combined with CBD’s pain relief and potential anti-carcinogenic properties, one day CBD should become a multi-faceted supplements to help patients undergoing chemotherapy. 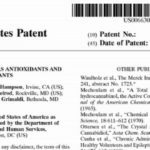 In the US, there are several patents involving Cannabidiol’s anti-nausea and anti-vomiting effects. In other countries, doctors have been prescribing CBD-high cannabis as a treatment to nausea for years now. The Netherlands is a good example. I, as a CBD proponents hope and expect (and hope) that Cannabidiol (CBD), and CBD-rich hemp oil will sooner than later become a widely accepted treatment for nausea and other vomit-inducing conditions (not to mention the multitude of other medical conditions that CBD helps alleviate). Limebeer, CL, and Parker, LA. (1999, December 16). Delta-9-tetrahydrocannabinol interferes with the establishment and the expression of conditioned rejection reactions produced by cyclophosphamide: a rat model of nausea. Neuroreport, 10(19), 3769-72. 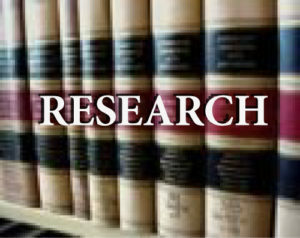 Parker, LA., Mechoulam, R., Schlievert, C., Abbott, L., Fudge, ML., and Burton, P. (2003, March). Effects of cannabinoids on lithium-induced conditioned rejection reactions in a rat model of nausea. Psychopharmacology, 166(2), 156-62. Parker, LA., Rock, EM., Sticht, MA., Wills, KL., and Limebeer, CL. (2015). Cannabinoids suppress acute and anticipatory nausea in preclinical rat models of conditioned gaping. Clinical Pharmacology and Therapeutics, 97(6), 559-61. Parker, LA., Rock, EM., and Limbeer, CL. (2011, August). Regulation of nausea and vomiting by cannabinoids. British Journal of Pharmacology, 163(7), 1411-22. Rock, EM., Bolognini, D., Limebeer, CL., Cascio, MG>, Anavi-Goffer, S., Fletcher, PJ., Mechoulam, R., Pertwee, RG., and Parker, LA. (2012, April). Cannabidiol, a non-psychotropic component of cannabis, attenuates vomiting and nausea-like behavior via indirect agonism of 5-HT(1A) somatodendritic autoreceptors in the dorsal raphe nucleus. British Journal of Pharmacology, 165(8), 2620-34. Sharkey, KA., Darmani, NA., and Parker, LA. (2014). Regulation of nausea and vomiting by cannabinoids and the endocannabinoid system. European Journal of Pharmacology, 722, 134-46.